Indian police have arrested a fourth suspect in connection with the Bombay train blasts that killed more than 200 people, a top police investigator said Monday. The suspect, who was identified as Tanvir Ahmed Ansari, appeared in a Bombay court, where the judge remanded him to police custody until Aug. 4. Ansari, a Bombay-based practitioner of traditional Unani medicine, was among five people picked up for questioning on Saturday, investigator K.P. Raghuvanshi told reporters. Ansari was formally placed under arrest late Sunday, he said. Raghuvanshi claimed Ansari came in contact with Islamic militant groups during a 2001 visit to Bahrain and had visited Pakistan in 2004 where he allegedly received training in making bombs. 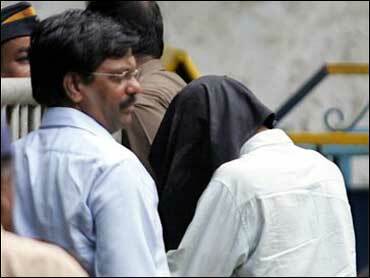 Although no major breakthrough has been made in the case, Raghuvanshi said Monday the investigation was progressing. "We are making progress. We are moving in the right direction," he said. Meanwhile in New Delhi, lawmakers from the main opposition Bharatiya Janata Party shouted slogans and forced the early adjournment of Parliament's lower house, or Lok Sabha, on the first day of its monsoon session, which lasts 40 days. They were demanding a discussion of security lapses they claimed led to the July 11 bombings, which killed 207 people and wounded more than 800. Instead, a noisy deadlock ensued and Speaker Somnath Chatterjee ended the day's proceedings about 40 minutes early. BJP lawmakers earlier marched to Parliament in New Delhi to register their protest. Party spokesman Vijay Malhotra said Sunday that the Hindu nationalist party planned to make the bombings and national security the focus of debate in Parliament's new session. Police in other cities in the western state of Maharashtra, of which Bombay is the capital, have detained several more suspects, according to media reports. Police reportedly also questioned a software engineer in the southern city of Bangalore, the hub of India's high-technology industries. Hundreds of people have been detained across India since the string of bombs that targeted seven packed Bombay trains during evening rush hour. Police made their first arrests on Thursday, picking up three suspects whom a Bombay judge remanded into custody until July 31. Police and officials have repeatedly suggested that Islamic militants fighting Indian rule in its part of Kashmir — specifically the Pakistan-based Lashkar-e-Tayyaba — were behind the blasts, and have said the attack is linked to Pakistan. Pakistan has adamantly denied any involvement. Kashmir is a predominantly Muslim territory divided between India and Pakistan that is claimed by both nuclear-armed countries.